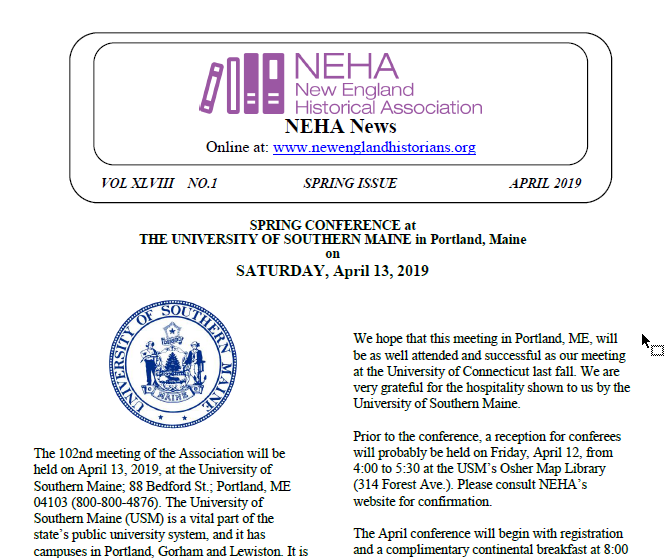 NEHA welcomes all historians and persons interested in the study of any area of history, especially those who live and work in the New England area, to join us as members. We receive no grants, agency or government funding, so membership dues and conference fees are an important part of our existence as an organization. Membership is for one calendar year. For online membership, please click here to jump to our membership/registration site.